Its hard to make it both structured AND interesting but you sure pulled it off here. Would make a nice print. The swirls and colours are beautiful! It's so wonderfully geometric! 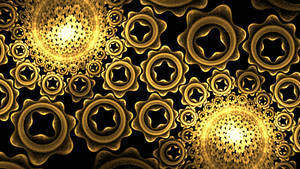 This shows off what a fractal is at heart: iterations of a motif. Amazing work!